React Native is becoming extremely popular in mobile development among small companies and well-established enterprises. We’ve also seen a big interest in React Native coming from our clients, so we decided to conduct a small study to see what’s behind the framework’s success. React Native has gained popularity at a quick pace. The number of queries on Google Search about React Native has doubled over the last six months. 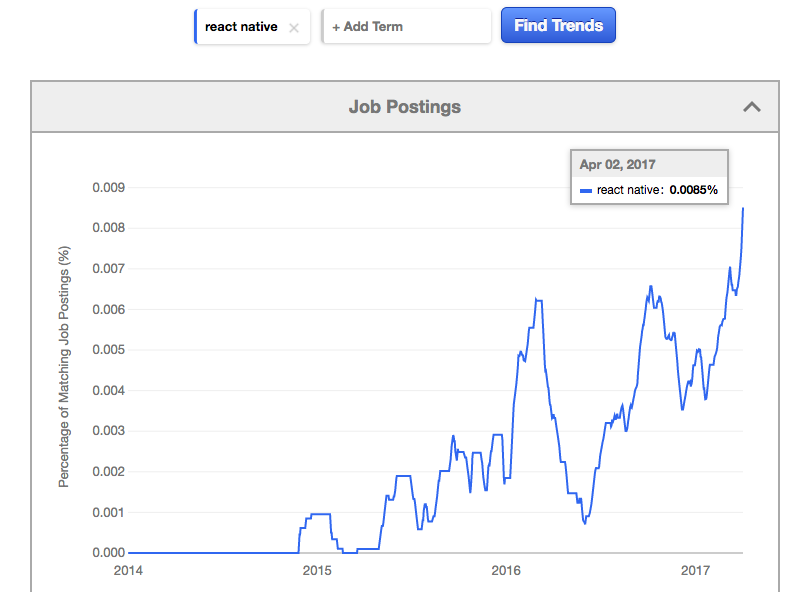 There is also a rising demand for React Native developers. Using Indeed, we verified trends concerning jobs in mobile development. 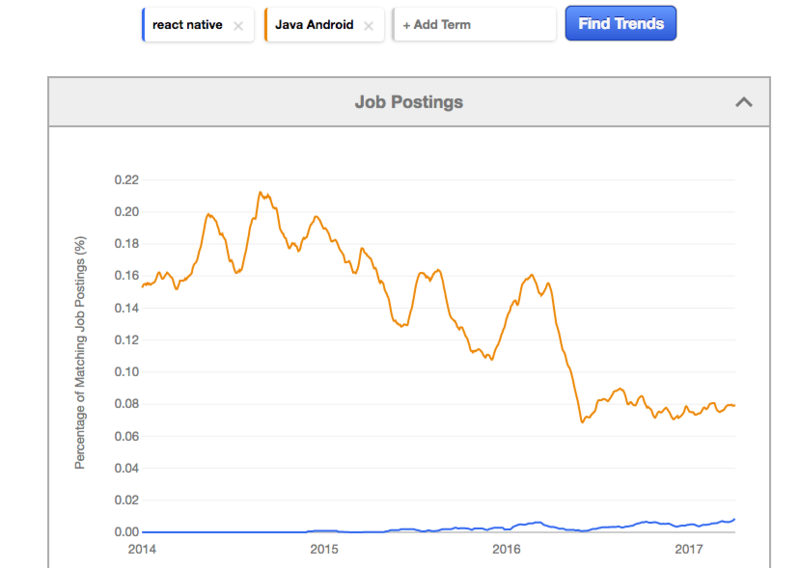 It turned out that there is an increasing number of React Native skill requirements in job postings, whereas the trend for Android developers is slowly declining. Finally, we’ve noticed that clients interested in mobile development are more responsive to information about React Native. Our Business Development Team has recently sent outreach messages targeted at clients interested in mobile app development, and this time, they included information about development in React Native. The response rate, in comparison to messages without React Native has tripled! 1. You can save on development time for mobile apps. React Native enables you to transfer the codebase or its part between different mobile platforms. Once you write an app for iOS devices, you can compile it onto Android in a short period of time (and vice versa). The amount of code you can share between platforms will depend on native modules you want to use. However, we’ve noticed that in our latest React Native project, the development took us 33% less time than it would have taken, if we had been developing for iOS and Android natively. 2. There are additional savings when having a React web app and a React native mobile app. Most companies need both a website and a mobile app. 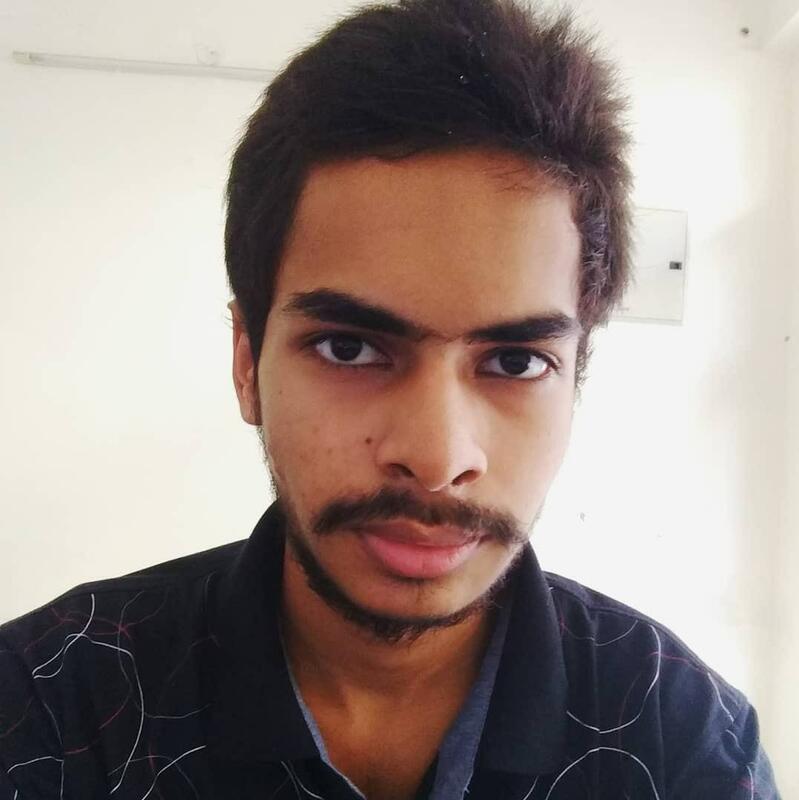 React code for Web relies on features available in Web browsers and React Native code is based on the features available on a given mobile platform. However, you can still reuse large chunks of the code between the mobile and web apps. The future is also bright and we might be able to copy even more code from React to React Native and vice versa. React Native is an open-source framework, yet, there is a big player behind it who controls its quality. Facebook puts a lot of resources to ensure React Native’s reliability and also to guarantee a constant development of the platform. The company leverages React Native in their own applications, and it’s been here with us for 4 years, so we can expect that Facebook won’t kill it unexpectedly. 5. Skype, AirBnB and Instagram already use it for their mobile apps. Many well-known brands have embraced React Native in mobile app development. It provides a social proof for other companies that the framework is reliable and can be used in various types of applications. 6. React Native apps can be as fast as native apps. Most apps are not pure React Native apps, because they have some parts written in native. If we encounter some performance issues with React Native, we can transfer some code to a native module, and the performance is no longer an issue. We should always use the tools for the tasks that they are good at. React Native is great for UI, and whenever we need some advanced features in the app, we can still use a native module for that. The data that we’ve collected clearly shows that React Native has gained momentum and it doesn’t seem to slow down. It might be due to the size of the very active JS community that picked up React Native quickly or to its promise to facilitate building apps more efficiently, which has proved to be right in many projects. Developers and app founders have noticed RN benefits, and we can see more and more companies jumping on the bandwagon and developing mobile apps with Facebook’s framework. If you want to discuss the potential benefits of using React Native in your project, give us a shout at contact@codecarrot.net.